If you could invent a shower scent, what would it be and why? 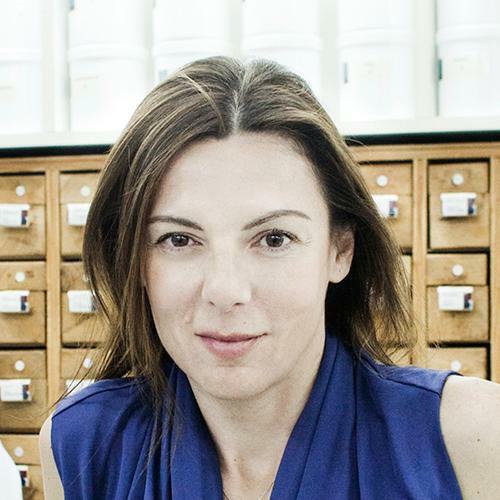 Share your ideas with KORRES co-founder Lena Korres and join the conversation July 19. I love the combination of ginger and lemongrass. There is something very spa like and relaxing in this fragrance combination. I would like to see this in a bath gel and body butter. Lena, Hi! I love your Brand and everything that it stands for! I know that you just came out with a clean scent, but let me tell you what I like, and I beleive others would like as well! The first scent that I was introduced to was somthing called (Simply Soap), and it is really been the only scent that I have worn ever since! I am not much for the fruity scents, but enjoy them now and then,, but this was my signature scent, and everywhere I went, someone always made a comment, oh my that smells Beautiful! Well of course it was discontinued a few years back, why I do not know? But try as I may, nothing comes close! So I have had to pay a pretty penny to scoop them up where I find them, but soon they will run out as well, and what will I do?? This has been 38 years?? I am 50 now, and if I had the means I would certainly make it myself somehow!! Maybe you can help?? When I was much younger, my Mother used this wonderful scent in her bath water and it’s the best scent I’ve EVER smelled. It was called Tangerine (something ), by Charles of the Ritz! I’ve always wanted something to smell just like that. Please make an effort to try to get this scent , or something very much like it, PLEASE! Lena, I would really appreciate it if you would can answer my question. I love your shower gels & body butters! I would like to stock up so I would like to know what is the shelf life of the shower gels & body butters if stored unopened? Lena i have a question. Are the products gentle enough to use on babies? I have two baby grandaughters and it is difficult to find products that are not full of chemicals. Are you going to bring your Golden Krocus elixir to HSN? If so, when…thanks and hope you do as I would love to try it. How about a ‘fall’ fragrance ie apple or pumpkin, cinnamon, nutmeg and sweet like an apple cake baking or coffeecake? Wish you could capture the old “Opium” fragrance which was woody yet spicy…mmmm…while softer. BTW, what happened to my Rice Bran and Vit B Mascara…it was the best on the planet and I cannot find it anywhere. The volcanic one you now sell makes my eyes itch and swell…but not the Rice Bran one. Please, please, please bring it back! I would do a passion fruit ginger fragrance. Unique and different. I would invent a shower scent from the tea olive tree. It has a light flowery scent that is sweet smelling. It blooms twice a year in the spring & fall. I would love to bottle that scent up have the fragrance year round. It’s a very pleasant scent that most everyone loves to smell. It would be Mimosa because it is a soft, clean scent. I’m admittedly old-fashioned and love a light mist of roses, lilacs, lily of the valley, gardenias, and jasmine. Any one of those in a fragrance that is not overpowering would be heavenly. I love avocado and banana – I make a smoothie daily with Andrew Lessman’s Meal Replacement Powder and I never get tired of the great combination. I wonder how it will smell together in a shower gel or lotion…good enough to eat? Also I would love the lotions to come in PUMP contaiers…easier to manage and less steps! I love Korres products and have given them as gifts to family and friends and co-workers.